best is to call to confirm pricing. - Engraving ALWAYS Included inside and out, what ever can fit! call for more specials that is not online. we can custom make over 50mm width bangles, call us! 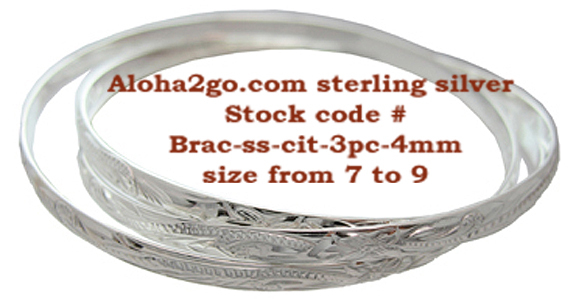 Buy Hawaiian Heirloom Rings Here!! You can pick your own bracelet scrolls..
insides engraving is ALSO included. JUS'forU!! come to our store and we can measure you correctly. it to us and we will not translate for you. call us for ANYTHING, we want to hear from ya! scrolls and deep discount price! design Hawaiian Bracelet with Yellow Painted Petro Honu Turtle. Sizing is included in price from 7" to 8.5"
if you buy 3 or more, you get quantity discount! call! Sizing is included in price from 7" to 8.5"
Sizing is included in price from 7" to 9"